Prescription Glasses - Sunglass Emporium is Northern Arizona's largest sunglass and prescription optical store. We have been family owned and operated since 1988. Most major brands for sale! Sunglass Emporium has been the preferred destination to purchase sunwear in Northern Arizona for many years. We are happy to now offer prescription glasses. We specialize in quality frames and lenses that exceed all your expectations without exceeding your budget. 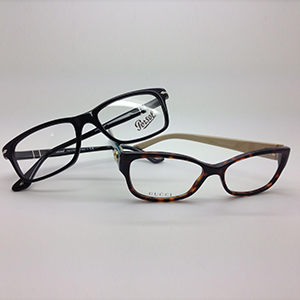 We offer everything from the affordable frames you need to the designer glasses you desire. Quality service and exceptional support is what separates us from everyone else, and we strive to help you accomplish your goals no matter what they may be. Some of the brands we carry include Prada, Maui Jim, Electric, Oakley, SPY, Wiley X, Rayban, Kaenon, Bucci, Coach, Vera Bradley, Marc Jacobs, Tom Ford, Persol, Suncloud, and many others. We cater to a range of people with different vision needs and are able to do specialty lenses for many different lifestyles. Stop in and speak with our experienced optician and see how sunglass emporium can help you see.